He'll look adorable in this long-sleeved t-shirt as the weather gets warmer this season! 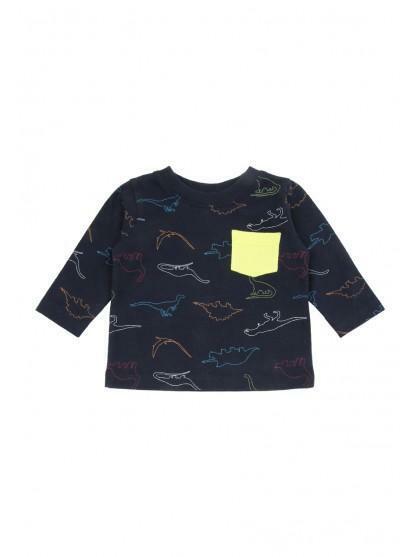 Featuring a cute dino-themed design, with long sleeves and with an adorable yellow breast pocket, complete with cute dino-themed images on the tee. A great choice for their casual wear collection. 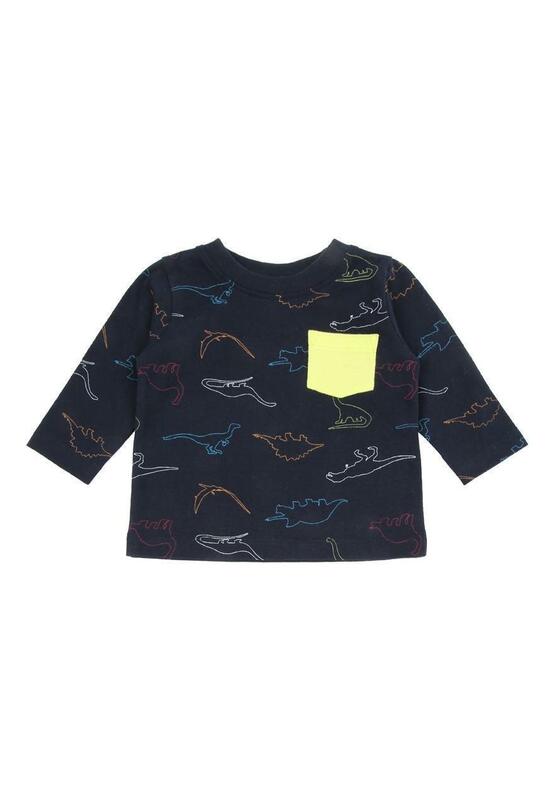 Complete the set, and pair this top with our matching Baby Boys Dino Joggers.